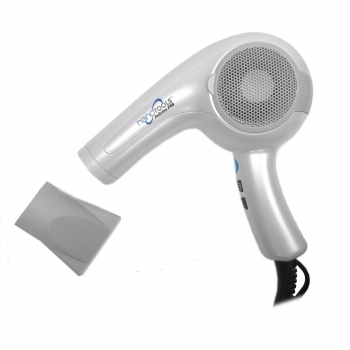 An exclusive blend of nano-sized Japanese minerals, combined with an ion generator, emits high levels of negative blend of infrared heat to dry hair faster while maintaining moisture and conditioning. Millions of negative charged ions moisturize, condition and smooth hair by breaking apart water clusters. The water molecules penetrate the hair for healthier, silkier, shinier results.